Deposition on June 20, 2001, a policyholder’s case testifying on behalf of the Airport Authority of Washoe County, NV, styled as Airport Authority of Washoe County v. Chubb Pacific Indemnity, et al., Case No. CV 98-08065 in the Second Judicial District Court of the State of Nevada, Department No. 9. Retained by the Airport Authority through their attorney Joel Gumbiner of Gumbiner & Eskridge, LLP, Walnut Creek, CA, (925) 933-5800. This dispute concerned coverage aspects of a large flood loss within an excess property policy and damage to the airport runways and ground equipment. Testimony on January 31, 2002, in an arbitration hearing before a three judge panel of the American Arbitration Association on behalf of Jackson National Life Insurance Company for case No. 13 195 00607 00 styled as Bucyrus International, Inc., Claimant, against Jackson National Life Insurance Company, Respondent. Retained by their attorney Steven Cooper of Anderson Kill and Olick, New York, NY, (212) 278-1000. This dispute involved valuation of risk premium that Jackson National Life assumed in the settlement of malpractice claims against a law firm resulting from the underlying bankruptcy suits of Bucyrus International. Deposition on September 24, 2002, a plaintiff’s case testifying on behalf of International Wire Group, a subsidiary of Hicks, Muse, Tate & Furst, Inc., styled as International Wire Group v. National Union Fire Insurance Company, et al., No. 02 CH 2470 in the Circuit Court of Cook County, Illinois, County Department – Chancery Division. Retained by their attorney, Dean Dickie of Rooks Pitts in Chicago, IL, (312) 627-2155. This dispute involved rescission issues with regard to Self-Insured Retention (SIR) claims for a manufacturer of hoses that were incorporated into other manufacturers’ products and the effect upon Product Liability coverage within the policy. Deposition on November 12, 2002, a plaintiff’s case testifying on behalf of Inamed Corporation, styled as Inamed Corporation, et al., v. Medmarc Casualty Ins. Co., et al., Case No. CV 00-11325-ABC (MANx) in the U.S. District Court for the Central District of California. Retained by Inamed Corporation, Santa Barbara, CA, through their attorney Jeffrey Raskin of Zevnik Horton, San Francisco, CA, (415) 364-6300. This dispute involved rescission issues surrounding the usual and customary treatment of “batch clause” and claims-made provisions within multiple policies issued to Inamed and its subsidiaries over multiple years. Deposition on January 13, 2003, a plaintiff’s case testifying on behalf of Metaldyne Corporation, styled as Metaldyne Corporation, et al. v. National Union Fire Insurance Company of Pittsburgh, PA, et al., Case No. EDCV 02-374VAP (GGLX) in the U.S. District Court for the Central District of California, Eastern Division. Retained by Masco Corporation, successor to Metaldyne, through their attorney Doug Mastroianni of Callahan & Blaine, Santa Anna, CA, (714) 241-4444. This dispute centered upon whether National Union should have recognized an underlying policy not scheduled as such and whether the first umbrella owed a duty to recognize that underlying policy by being excess of it. Deposition on January 22, 2003, a defendant’s case testifying on behalf of Mike Cheap and Throckmorton Insurance Agency, styled as High Plains Wireline Services, Inc. v. National American Insurance Company, Inc., Mike Cheap and Throckmorton Insurance Agency, Case No. CJ-2002-1517, in the District Court of Oklahoma County, State of Oklahoma. Retained by defense counsel Jeff Beeler of Beeler, Walsh & Walsh of Oklahoma City, OK, (405) 843-7600. This dispute involved issues regarding the contractual exception customary in the liability insurance industry, but absent in a manuscript Employer Liability (EL) exclusion endorsement to the Commercial General Liability (CGL) coverage form issued by National American Insurance Company. Deposition on February 18, 2003, a plaintiff’s case testifying on behalf of New Era of Networks, Inc., styled as New Era of Networks, Inc. v. Great Northern Insurance Company, Federal Insurance Company and Hartford Fire Insurance Company, Civil Action Number H-01-1841, in the United States District Court for the Southern District of Texas, Houston Division. Retained by plaintiff’s counsel Nate McKitterick of Gray Cary, Palo Alto, CA, (650) 833-2394. This dispute involved coverage issues regarding Advertising Injury liability with regard to title infringement and misappropriation of advertising ideas over several years of mutual consensual operation. Deposition on June 10, 2003, a plaintiff’s case testifying on behalf of Cargill, Inc., styled as Cargill, Inc. v. Evanston Insurance Company, Court File No. CT 00-001998, in the Fourth Judicial District Court of Hennepin County, Minnesota. Retained by plaintiff’s counsel Tom Mielenhausen of Lindquist & Vennum, PLLP, in Minneapolis, MN, (612) 371-3211. This dispute involved coverage issues regarding groundwater pollution liability and environmental damage at a Cargill site in Dawson, GA.
Deposition on August 6, 2003, a defendant’s case testifying on behalf of National Union Fire Insurance Company, styled as William Norris v. National Union Fire Insurance Company of Pittsburgh, PA, Case No. 01-08886, in the 14th Judicial District of Dallas County, Texas. Retained by defense counsel David Metzler of Cowles & Thompson, Dallas, TX, (214) 672-2000. This dispute involved coverage issues regarding uninsured motorist coverage in Texas. Deposition on September 17, 2003, a plaintiff’s case testifying on behalf of the bankruptcy trustee for Boston Chicken, Inc., styled Gerald K. Smith v. Arthur Andersen LLP, et al., Case Nos. CIV-01-218-PHX-PGR, CIV-01-246-PHX-EHC, CIV-02-1162-PHX-PGR, CIV-02-1248-PHX-PGR (Consolidated), in the U.S. District Court for the District of Arizona. Retained by Bob McKirgan of Lewis & Roca, Phoenix, AZ, (602) 262-5326. This dispute involved a question of whether there was a financial relationship between two defendants arising out of a common captive insurance arrangement. Trial testimony on September 30, 2003, a plaintiff’s case testifying on behalf of Allan Nowak in the case styled Allan Nowak v. Lexington Insurance Company, Case 02-23633-CIV-FAM, in the U.S. District Court, Southern District of Florida, Miami Division. Retained by Steven Simon of Simon & Dondero, Miami, FL, (305) 358-6033. 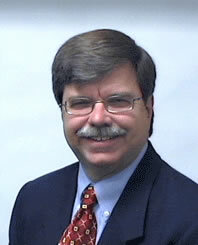 This dispute involved a question of rescission of coverage on a Personal Articles Floater policy and whether the insured, Allan Nowak, conformed to the expectations of the application process and the terms and conditions of the policy as written. Deposition on February 2, 2004, a plaintiff’s case testifying on behalf of Lindsey Manufacturing Company, styled MTDL Acquisition, LLC v. The Travelers, and Prime Machine, Inc., Civil No. 990902560, in the District Court of the Third Judicial District for Salt Lake County, State of Utah. Retained by Jeff Eisenberg of Eisenberg & Gilchrist, LLC, Salt Lake City, UT, (801) 366-9100. This dispute involved the inappropriate cancellation of a property policy while adjustment of the claim and repairs were ongoing. Testimony at trial by affidavit on February 27, 2004, a plaintiff’s case testifying on behalf of Homestore, Inc., styled TIG Insurance Company of Michigan v. Homestore, Inc., et al., Lead Case No. BC 265709, in the Superior Court of the State of California, County of Los Angeles. Retained by Donald Brown of Covington and Burling, San Francisco, CA, (415) 591-6000. This dispute involved policy rescission and materiality issues with a Directors & Officers (D&O) liability policy as a result of the plaintiff’s restatement of negative earnings. Deposition on March 3, 2004, a policyholder’s case testifying on behalf of JBA International, Inc., styled St. Paul Mercury Insurance Co. v. JBA International, Inc., Case No. PD 01-297 MJD/JGL, in the U.S. District Court of the District of Minnesota. Retained by Rick Snyder of Fredrickson & Byron, Minneapolis, MN, (612) 492-7145. This dispute involved numerous underwriting and coverage issues surrounding a claims-made technology Errors & Omissions (E&O) policy. Deposition on April 9, 2004, testifying on behalf of Leesa Bunch in the bankruptcy case of IN RE: Hoffinger Industries, Inc., debtor v. Leesa Bunch and McMasker Enterprises, Inc., Case No. 01-20514, Chapter 11, A.P. No. 2:03 A.P. 01134 in the U.S. Bankruptcy Court for the Eastern District of Arkansas. Retained by Whitney Davis of Charter Davis, Sacramento, CA, (916) 448-9000. This case involved the underwriting, pricing, efficacy and recovery issues surrounding a captive insurance company’s Product Liability coverage written for its only policyholder, Hoffinger Industries, Inc.
Deposition on May 18, 2004, testifying on behalf of defendant State Farm Insurance Co., styled Gertrude Gardner, Inc. v. State Farm Mutual Automobile Insurance Company and Richard C. Frank, Civil Action #02-3182, Section: “C”; Magistrate: (1), U.S. District Court, Eastern District of Louisiana. Retained by David Salley of Salley, Hite, Rivera & Mercer, New Orleans, LA, (504) 566-8801. This case involved an uninsured / underinsured motorist claim of a company director on an automobile insurance policy with specified coverage. Trial testimony on May 20 and 21, 2004, regarding the bankruptcy case of April 9 above, IN RE: Hoffinger Industries, Inc.
Perpetuation Deposition/Trial testimony on June 10, 2004, regarding Gertrude Gardner, Inc. matter of May 18 listed above. Deposition on August 9, 2004, testifying on behalf of Skyline Displays and Gordon Savoie, styled Gulf Insurance Co. v. Skyline Displays, Inc. and Gordon Savoie, Civil No. 02-3503 DSD/SRN, U.S. District Court, District of Minnesota. Retained by Laurie Kindel of Maslon, Edelman, Borman & Brand, Minneapolis, MN, (612) 672-8375. This case involved Employment Practices Liability (EPL) coverage on a Directors & Officers (D&O) policy within an officer’s disputed minority shareholder suit context. Deposition on August 12, 2004, testifying on behalf of Plaintiffs, James R. Bullock, Leslie W. Haworth, and John R. Grainger v. National Union Fire Insurance Company of Pittsburgh, PA, C/A No. 3:03-2261-17, U.S. District Court, District of South Carolina, Columbia Division. Retained by Ellen Robbins of Sidley, Austin, Brown, and Wood, LLP, Chicago, IL, (312) 853-2931. This case involved rescission and severability issues regarding individuals insured under a Directors & Officers (D&O) liability policy. Preservation Deposition testimony used at trial on August 25, 2004, testifying on behalf of Aon Risk Services of Texas, Inc., styled Synagro of Texas-CDR, Inc. dba CDR Environmental, Inc. v. Aon Risk Services of Texas, Inc., No. 01-10-11717, District Court of Jackson County, Texas, 24th Judicial District. Retained by Richard Wilson of McFall, Sherwood & Breitbeil, Houston, TX, (713) 590-9333. This case involved issues of an agent’s Errors & Omissions (E&O) insurance coverage arising from reinsurance cut-through endorsements specific to applicable exposures and prior policy periods. Deposition on February 1, 2005, testifying on behalf of Plaintiffs, Southern Natural Gas Co. v. Certain Underwriters at Lloyd’s, et al., Case No. CV 0106388, Circuit Court of Jefferson County, Alabama. Retained by Michael Miguel of Morgan, Lewis & Bockius, LLP, Los Angeles, CA, (213) 612-7310. This case involved issues of underlying insurance policy recognition in a London market umbrella’s schedule of underlying insurance. Deposition on February 25, 2005, testifying on behalf of Plaintiffs, State National Insurance Co. et al. v. Main Street Homes, Inc., et al., Cause # GN 301388, District Court, 261st Judicial District, Travis County, Texas. Retained by David Metzler of Cowles & Thompson, Dallas, TX, (214) 672-2000. This case involved insurance application and underwriting issues of MGAs and agents with regard to misrepresentation in the application. Trial testimony on March 2, 2005, regarding the umbrella case above of February 1, Southern Natural Gas Co. v. Certain Underwriters at Lloyd’s, et. al. Deposition on March 23, 2005, testifying on behalf of Cardinal Health, Inc., in the consolidated case for Cardinal Health, Inc. et al. v. Central Garden & Pet Co., et al., No. CV 2000-01617, in the Superior Court of the State of Arizona, in and for the County of Maricopa, Phoenix, Arizona. Retained by Dan Goldfine of Snell & Wilmer, LLP, Phoenix, AZ, (602) 382-6000. This case involved the impact of a large fire loss on the subsequent insurance premiums for a warehouse exposure and collateral monetary damages resulting from increased future insurance premiums to tenants sharing contiguous warehouse space. Deposition on April 13, 2005, testifying on behalf of City National Bank in the matter of Arbitration between IBAT Bond Trust and City National Bank, before a three judge Arbitration Board. Retained by Jeffrey A. Hage of Winstead, Sechrest & Minick, Dallas, TX, (214) 745-5400. This case involved underwriting issues and trust structure with regard to rescission claims on the part of a Self-Insurance Trust for Texas banks and their relation to captive reinsurance reimbursement. Deposition on May 3, 2005, testifying on behalf of Evans & Sutherland Computer Corp., styled as Evans & Sutherland Computer Corp. v. Federal Insurance Company, Case # CGC 03419926, in the Superior Court of California, County of San Francisco. Retained by Philip Pillsbury of Pillsbury & Levinson, LLP, San Francisco, CA, (415) 433-8000. This case involved coverage issues involving “damages” under a Technology Errors & Omissions (E&O) liability policy, and the extent of covered damages. Trial testimony on May 10, 2005, regarding the Technology E&O Liability policy issues immediately above in Evans & Sutherland Computer Corp. v. Federal Insurance Company. Trial testimony on June 8, 2005, testifying on behalf of Mike Cheap and Throckmorton Insurance Agency, styled as High Plains Wireline Services, Inc. v. National American Insurance Company, Inc., Mike Cheap and Throckmorton Insurance Agency regarding issues discussed in the deposition of January 22, 2003 above. Deposition on August 18, 2005, testifying on behalf of Medical Protective Company, styled as Bob J. Herrin, M.D. v. The Medical Protective Company et al., Cause No. 99-0316, in the District Court of Austin, Texas, 155th Judicial District. Retained by Steve Nagle of Gwinn & Roby LLP, Dallas, TX, (214) 698-4133. This case involved usual and customary underwriting practices and loss issues surrounding the non-renewal of one of their doctor insureds. Deposition on October 25, 2005, testifying on behalf of G-I Holdings, styled as G-I Holdings, Inc. et al. v. Reliance Insurance Company, et al., Docket Number 00-6189 (DMC) for the U.S. District Court for the District of New Jersey. Retained by Louis Chiafullo of McCarter & English, LLP of Newark, NJ, (973) 622-4444. This case involved Reliance’s Directors and Officers (D&O) portfolio assumption through a cancel/rewrite method by Hartford, after purchasing Reliance’s book of business, and trigger timing issues within a claims-made D&O liability insurance policy spanning multiple years and two different insurance companies. Trial testimony on January 30, 2006, testifying on behalf of Medical Protective Company concerning the August 18, 2005 deposition discussed above with regard to underwriting and loss issues surrounding non-renewal. Deposition on March 21, 2006, testifying on behalf of Pulse Engineering, Inc., styled as Pulse Engineering, Inc., and Technitrol, Inc. v. Federal Insurance Company, and Pacific Indemnity Company, Cause No. 49D13-0408-CT-01427 for the Marion Superior Court, State of Indiana, County of Marion. Retained by Donna Marron of Plews, Shadley, Racher & Braun, Indianapolis, IN, (317) 637-0700. This case involved issues of notice of claim and denial of pollution coverage when case law and its influence on coverage became progressively more liberal over time. Deposition on May 19, 2006, testifying on behalf of the Purdue Companies, styled as Steadfast Insurance Company v. The Purdue Frederick Company, et al., Case No. X08 CV 02 0191697 S (CLD) for the Superior Court, Complex Litigation Docket at Stamford, CT. Retained by David Kochman of Anderson Kill in New York, NY, (212) 278-1000. This case involved issues of the operation of a claims series or “batch clause” within the context of a claims-made Product Liability only form, and policy aggregate depletion with regard to defense costs paid on behalf of indemnitees being considered “damages” within the 1993 ISO forms. Testimony on January 17, 2007 at a bankruptcy hearing, testifying on behalf of bondholders, styled as In Re: Premier Entertainment Biloxi LLC, Debtor et. al. and U.S. Bank as Trustee for bondholders, Chapter 11, Case No. 06-50975 and Case No. 06-50976, in the U.S. Bankruptcy Court for the Southern District of Mississippi, Southern Division. Retained by James Killian of Maslon, Edelman, Borman & Brand in Minneapolis, MN, (612) 672-8306. This case involved the availability and cost of hurricane coverage for policy years 2006/2007 and upcoming 2007/2008, the efficacy of catastrophe models used in placing limits, and the adequacy of windstorm policy limits purchased at the time (pre-Katrina) given global insurance market conditions. Deposition on February 1, 2007, testifying on behalf of Standard Parking Corporation, styled as Standard Parking Corporation v. City of Phoenix, No. CV2005-009129, in the Superior Court of the State of Arizona, County of Maricopa, AZ. Retained by Bret Rappaport of Schwartz Cooper Chartered of Chicago, IL, (312) 845-5116. This case involved issues of insurance pricing, retained risk assessment, risk management costs and allocation of each of those costs among clients participating in a shared nationwide risk management and liability self-insurance program. Deposition on April 4, 2007, testifying on behalf of Mary Kay Holding Corp., styled Mary Kay Holding Corp., et al. v. Federal Insurance Company, Civil Action No. 3-06CV-896-N, in the U.S. District Court for the Northern District of Texas, Dallas Division. Retained by Jason Dennis of Lynn, Tillotson & Pinker, Dallas, TX, (214) 981-3830. This case involved issues of insured status for various subsidiaries for COBRA claims on a Fiduciary Liability policy issued to Mary Kay Holding Corp., et al. Deposition on May 7, 2007, testifying on behalf of Regional Reporting, Inc., styled Best Resort Hotel, Inc. and Indian Harbor Insurance Company v. Regional Reporting, Inc. et al., Cause No. 67-203716-04, in the District Court of Tarrant County, Texas, 67th Judicial District, Ft. Worth, Texas. Retained by Chase Laws of Wilson, Balido and Crain, Dallas, TX, (214) 347-8355. This case involved professional liability coverage issues regarding a property inspection report requested by property underwriters who required a standard inspection, and a subsequent, significant fire loss. Deposition on June 8, 2007, testifying on behalf of PepsiAmericas, Inc., a non-debtor interest in the bankruptcy proceeding In Re: Federal-Mogul Global, Inc., T&H Limited, et al., Debtors, In the United States Bankruptcy Court, District of Delaware, Chapter 11, Case No. 01-10578. Retained by Daniel Chefitz of Morgan Lewis & Bockius, Washington, DC, (202) 739-5760. This case involved insured status and policy rights issues regarding an asbestos Trust being granted ownership rights for the insurance program of PepsiAmericas, Inc. and other non-debtors by court approval of an asbestos claims resolution plan. Deposition on August 7, 2007, testifying on behalf of Melton Truck Lines, Inc. in the coverage case Melton Truck Lines, Inc. et al. v. Indemnity Insurance Company of North America, et al., in the U.S. District court for the Northern District of Oklahoma, No. 04-CV-263-JHP-SAJ. Retained by plaintiff’s counsel Neal E. Stauffer of Stauffer & Graves, PC, Tulsa, OK, (918) 592-7070. This case involved the calculation of “damages” due to significant increased insurance premium cost above the self-insured retention after a catastrophic automobile loss. Deposition on June 5, 2008, testifying on behalf of Pulse Engineering, Inc. in the coverage case Pulse Engineering, Inc. v. Federal Insurance Company, et al., in the U.S. District Court for the Southern District of Indiana, Indianapolis Division, Civil Action No. 1:06-cv-1237-LJM-JMS. Retained by Pulse’s counsel, Brett Nelson of Plews Shadley Racher & Braun LLP, Indianapolis, IN, (317) 637-0700. This case involved proving up primary and umbrella Commercial General Liability (CGL) coverage in older years based upon partial policies and other documents. Deposition on July 31, 2008, testifying on behalf of TIG Insurance Company in the arbitration between TIG Insurance Company, Claimant, and General Reinsurance Corporation, Respondent. Retained by TIG Insurance Company’s counsel, William M. Sneed of Sidley Austin LLP, Chicago, IL, (312) 853-7899. This case involved reinsurance treaty issues between the parties regarding reinsurance coverage for Employment Related Practices Insurance claims within the TIG portfolio of umbrella policies. Deposition on November 4, 2008, testifying on behalf of LaSalle Bank N.A. in the arbitration between American International Specialty Lines Insurance Company, Claimant, and LaSalle Bank N.A., Respondent. Retained by LaSalle’s counsel, Barry Armstrong of McKenna, Long & Aldridge, Atlanta, GA, (404) 527-4372. This case involved trigger and coverage issues with regard to claims submitted under Secured Creditor Impaired Property policies issued to LaSalle as Trustee for properties securitizing collateralized mortgage obligation bonds. These policies provided a combination of pollution clean-up cost and credit risk insurance arising from defaulted loans within the portfolios of securitized bonds. Deposition on November 20, 2008, testifying on behalf of California State University Risk Management Authority in the coverage case The California State University Risk Management Authority v. American International Specialty Lines Insurance Company, in the U.S. District Court, Central District of California, Los Angeles Division, Case No. CV 08-00710 R (JWJx). Retained by CalState’s counsel, Michael Miguel of Morgan Lewis, Los Angeles, CA, (213) 612-7354. This case involved coverage issues surrounding a Third Party Administrator claims-made Errors & Omissions (E&O) insurance policy with particular focus upon demand requirements and forseeability by the insured for valid claim determination. Arbitration testimony on December 9th and 10th, 2008, on behalf of TIG Insurance Company in the matter between TIG Insurance Company, Claimant, and General Reinsurance Corporation, Respondent, listed under the above deposition on July 31, 2008. Deposition on January 20, 2009, testifying on behalf of Universal Insurance Company in the rescission case of Percy D. Souder v. Universal Insurance Company of Texas, et al., in the 192nd Judicial District Court, Dallas County, Texas, Case No. 07-11752. Retained by counsel for Universal, David Bradley of Walter Balido & Crain, LLP, Houston, TX, (713) 781-0875. This case involved matters of rescission arising out of agent malfeasance, insured malfeasance and insurance fraud. Deposition on April 24, 2009, testifying on behalf of the City of Canton in the coverage suit styled as Nationwide Life Insurance Company v. City of Canton, Ohio et al., in the Court of Common Pleas, Franklin County, Ohio, Case No. 07 CVH 08 11779. Retained by counsel for the City of Canton, Richard S. Milligan of Buckingham, Doolittle & Burroughs, Canton, OH, (330) 492-8717. This dispute involved a large loss on Self-Insured Medical Benefits program for the City and the denial of excess coverage by Nationwide based upon conditions within the Medical Expense Stop-Loss policy and the insurance application. Deposition on May 5, 2009, testifying on behalf of U.S. Risk Insurance Group, Inc. in the case styled as U.S. Risk Insurance Group, Inc. v. Brett Woods and Midwestern, General Brokerage, Inc., d/b/a/ Westrope & Associates, in the District Court of Dallas County, Texas, K-192nd Judicial District, Cause No. 09-04069. Retained by counsel for U.S. Insurance Group, Inc., Doug Haloftis of Gardere Wynne Sewell, LLP, Dallas, TX, (214) 999-3000. This dispute involved the meaning and use of the infinitive phrase “to write” and its various conjugates within the insurance industry as they relate to brokers and their rights and responsibilities under insurance broker employment contracts. Temporary Injunction testimony at the hearing held on July 1, 2009 for the case styled immediately above on behalf of U.S. Risk Insurance Group, Inc.
Deposition on July 14, 2009, testifying on behalf of Ostrovitz & Gwinn, LLC in the case styled as Ostrovitz & Gwinn, LLC v. Integral Texas Pallet Operations, LP, f/k/a Palex-Texas. L.P., a Texas Limited Partnership, First Specialty Insurance Company, and Joey Alvy, in District Court of Dallas County, Texas, 191st Judicial District, Cause No. 06-09925. Retained by counsel for Ostrovitz & Gwinn, LLC, John Hubble of Hubble*Pistorius, Dallas, TX, (214) 361-1262. This dispute involved additional insured and loss payee issues on a surplus lines property policy intended to cover the lessor’s building interests, and recovery rights of the lessor loss payee for real property after the insurance company’s Managing General Underwriter eliminated all additional insured status under a lessee’s property policy for all real property owners/lessors. Arbitration testimony on September 24th and 25th, 2009, on behalf of LaSalle Bank in the matter between American International Specialty Lines Insurance Company, Claimant, and LaSalle Bank N.A., Respondent, listed under the above deposition on November 4, 2008. Trial testimony on December 8, 2009, on behalf of Koppers Industries, Inc. in the case styled as Koppers Industries, Inc. v. International Insurance Company, et al., in the Civil Division of the Court of Common Pleas, Allegheny County, Pennsylvania, Case No. GD-0213440. No deposition taken. Retained by counsel for the policyholder by Jim Malloy of K&L Gates, Pittsburgh, PA, (412) 355-8965. This dispute resolved affirmatively that the umbrella at issue contained coverage for prior products despite the fact that the spin-off division and the seller intended by contract for prior products to stay with the seller. There was no prior products exclusion on the underlying or the umbrella. Deposition testimony on March 5, 2010, on behalf of Belo Wiley d/b/a Wen-Be, Wiley Lease Co., Ltd. (defendant) and Christina Viesca (plaintiff) in the case styled as Christina Valdez, Individually and as Administratrix of the Estate of Hector Viesca, Deceased, et al. v. Belo Wiley d/b/a Wen-Be, Wiley Lease Co., Ltd. et al. in the District Court, 81st Judicial District, Atascosa County, Texas, Cause No. 06-01-0869-CVA. Retained for one defendant by its counsel Carl J. Kolb, (210) 225-6666, and one plaintiff by its counsel Robert M. Stone, (210) 832-0326, both of San Antonio, TX. This dispute involved fraud and misrepresentation charges associated with the use of an offshore captive non-subscriber industrial accident insurance policy by a professional employment organization. Trial testimony on May 19, 2010, on behalf of Belo Wiley d/b/a Wen-Be, Wiley Lease Co., Ltd. (defendant) and Christina Viesca (plaintiff) in the case discussed immediately above. Deposition testimony on July 20, 2010, on behalf of St. Jude Medical in the case styled as American Insurance Company v. St. Jude Medical, Inc. v. Willis of Minnesota, Inc. in the U.S. District Court, District of Minnesota, File No. 08-00013-DSD-JJG. Retained for defendant St. Jude Medical by its counsel Tom Mielenhausen of Lindquist & Vennum, Minneapolis, MN, (612) 371-3559. This dispute involved defense/indemnity and following form issues, and the operation of a Batch Clause issued by the lead products liability carrier, Medmarc, upon the sequential excess product liability claims-made policies in a tower of coverage up to $250 million. Deposition testimony on November 8, 2010, on behalf of Averis Terrell Manchester in the case styled as Averis Terrell Manchester et al. v. Conrad Dedrick, et al., in the 18th Judicial District Court, Parish of Pointe Coupee, Louisiana, No. 41,640, Div. D. Retained by counsel for the plaintiff, Donald W. Price, of Due’, Price, Guidry, Piedrahita & Andrews, Baton Rouge, LA, (225) 929-7481. This dispute involved the question of hired car automobile coverage in the lessee’s primary automobile policy and umbrella policy for the driver of the lessor (but not the lessor itself) that was operating the lessee’s hired vehicle. Deposition testimony on November 11, 2010, on behalf of Republic Western Insurance Company, Phoenix, AZ, in the case styled as Glynn-Brunswick Memorial Hospital Authority trading as, Southeast Georgia Health System v. Hilb, Rogal & Hobbs of Savannah, Inc. and Republic Western Insurance Co., Civil Action No. CE07-01183-063, in the Superior Court of Glynn County, GA. Retained by counsel to defendant Republic Western Insurance Co., Nancy F. Rigby of Weinberg, Wheeler, Hudgins, Gunn and Dial, LLC, Atlanta, GA, (404) 876-2700. This dispute involved the question of whether loss runs (claims data) provided to a captive Managing General Underwriter by a Claims Third Party Administrator constitute sufficient notice of loss or claim to the Stop-Loss insurer (Republic Western) within the hospital’s large Self-Insured Workers’ Compensation program, and Republic’s right to deny claims based upon their policy’s notice of loss or claim condition precedent. Deposition testimony on November 19, 2010, on behalf of Cracker Barrel in the case styled as Cracker Barrel Old Country Store, Inc. v. Cincinnati Insurance Company and Houston Casualty Company, No. 3-07-303, in the U.S. District Court for the Middle District of Tennessee. Retained by counsel for Cracker Barrel, Cort Malone of Anderson Kill & Olick, PC, New York, NY, (212) 278-1382. This dispute involved the issues of claims first made and coverage for an EEOC suit within a claims-made Employment Practices Liability Policy after defense expense within a large (250K+) Deductible layer eroded into Cincinnati’s insurance layer, when the policy actually issued did not conform to the claims defense and large deductible practices of Cracker Barrel and Cincinnati. Deposition testimony on February 9, 2011 on behalf of Admiral Insurance, et al. in the case styled as American Optical Corporation and Warner-Lambert Co. v. Admiral Insurance Co. et al., Docket No. UNN-L-2505-01, in the Superior Court of New Jersey, Law Division: Union County. Retained by counsel for Admiral Insurance, et al., Robert F. Priestley of Mendes & Mount, LLP, Newark, NJ, (973) 639-7300. The portion of this dispute at issue involved testimony regarding the availability of product liability insurance for silica based products between the years of 1985 and 2005, as well as the prevalence and use of silica exclusions during this period of time prior to the issuance of the ISO standard silica exclusion in 2005. Deposition testimony on April 15, 2011 on behalf of Arthur Gallagher in the case styled as Triumph Foods, LLC v. Arthur J. Gallagher Risk Management Services, Inc., Arthur J. Gallagher & Co., RLI Corporation, Westrope and Associates, and Hays Companies, Case No. 08BU-CV03145, in the Circuit Court of Buchanan County, Missouri. Retained by counsel for Arthur J. Gallagher, Mark C. Tatum of Shook, Hardy & Bacon, LLP, Kansas City, MO, (816) 559-2383. This dispute involved a builders’ risk policy and the definition and application of “pre-operation payroll” to the business interruption portion of a fire loss at a large meat packing plant under original construction and the insurance application and policy ambiguities relevant to the practices of the agent prior to the issuance of the builders’ risk policy. Deposition testimony on April 21, 2011 on behalf of Honeywell International, Inc./Bendix Corporation et al. in the case styled as Continental Insurance Company et al. v. Honeywell International, Inc., et al., Docket No. MRS-L-1523-00, in the Superior Court of New Jersey, Law Division: Morris County. Retained by counsel for Honeywell, et al., Paul Del Vecchio of K&L Gates, LLP, Pittsburgh, PA, 412 355-6243. The primary purpose was to rebut an expert report that claimed asbestos products liability insurance was reasonably available to Honeywell for asbestos products manufactured from 1987 to 2001. Deposition testimony on July 25, 2011 on behalf of Tristar Managing General Agency, Inc. in the case styled as Intercon Insurance and Financial Services, LTD. v. Tristar Managing General Agency, Inc. and Tristar Financial Insurance Agency, Inc., Cause NO. 08-14870, in the 298th Judicial District Court, Dallas County, Texas. Retained by Bobby Rubarts of Koning Rubarts, LLP, Dallas, TX, (214) 751-7902. Here the question was the reasonableness and efficacy of assuming financial risk transfer originating from portfolio losses from the program MGA to the producing MGA in order to replace reinsurance for the purpose of gaining enhanced profitability. Deposition testimony on August 8, 2011 on behalf of Certain Underwriters at Lloyd’s of London in the case styled as Certain Underwriters at Lloyd’s v. Elias Millan and Ana Goll, Case No: 08-22674 CA 22 in the Circuit Court of the 11th Judicial Circuit in and for Miami-Dade County, Florida, Civil Division. Retained by Clinton D. Flagg of Clinton D. Flagg, PA, Coral Gables, FL, (305) 669-0506. These issues involved multiple bases for policy rescission arising from material misrepresentations in the application for a policy that was subject to a total loss fire claim. Deposition testimony on August 16, 2011 on behalf of W. David Hammett and Davenport, Files & Kelly, LLP in the case styled as Argonaut Great Central Insurance Company v. W. David Hammett and Davenport, Files & Kelly, LLP, Civil Docket No. 449,814-B in the First Judicial District Court, Parish of Caddo, State of Louisiana. Retained by Charles M. Kreamer of Allen & Gooch, Lafayette, LA, (337) 291-1390. These issues centered around the creation and effectiveness of coverage by binders and certificates of insurance where their terms and conditions issued by the agent differ from the automobile policy issued by the insurance company regarding hired car and non-owned automobile liability insurance. Deposition testimony on August 19, 2011 on behalf of TIG Insurance Co. in the case styled as TIG Insurance Company v. Tyco International Ltd., Grinnell Corporation and the Brooklyn Hospital Center f/k/a Caledonian Hospital, Case No. 3:08-CV-1584 in the United States District Court, Middle District of Pennsylvania. Retained by Carlos Del Carpio of Meckler, Bulger, Tilson, Marick & Pearson, LLP, Chicago, IL, (312) 474-7900. This case involved the inapplicability of a nose coverage (opposite of claims-made tail coverage) endorsement on a TIG high excess policy to losses in the most recently expired occurrence reported form high excess liability layer. Arbitration testimony on September 26, 2011 on behalf of W. David Hammett and Davenport, Files & Kelly, LLP in the matter between Argonaut Great Central Insurance Company v. W. David Hammett and Davenport, Files & Kelly, LLP, listed under the above deposition on August 16, 2011. Deposition testimony on December 21, 2011 on behalf of Mt. McKinley Insurance Co., Everest Re and a large number of other insurance companies in the case styled as R.T. Vanderbilt Co. Inc. v. Hartford Accident & Indemnity Company, et al., and styled also as Continental Casualty Co. v. Employers Mutual Casualty Co., et al., Docket No X02-CV-07-5007875-S in the Superior Court, Complex Litigation Docket, Judicial District of Waterbury at Waterbury, CT. Retained by Mike Smith of Cozen & O’Connor, West Conshohocken, PA, (610) 832-8353. This case involved the availability of product liability insurance for defense and indemnity claims from 1949 forward arising out of non-asbestos particulates for the mining of and incorporation of talc and other non-asbestos mineral substances. Trial testimony on January 23, 2012 on behalf of Certain Underwriters at Lloyd’s of London in the case styled as Certain Underwriters at Lloyd’s v. Elias Millan and Ana Goll, concerning the August 8, 2011 deposition testimony cited above. Deposition testimony on May 8, 2012 on behalf of TMC Financial, LLC in the case styled as Bancroft Life & Casualty ICC, Ltd. v. TMC Financial, LLC, Civil Action No. 1:11-CV-903 in the U.S. District Court for the Northern District of Texas. Retained by Quentin R. Corrie of Birch, Stewart, Kolasch & Birch, Falls Church, VA, (703) 205-8032. This case involved the efficacy of insurance coverage provided by “certificates” issued by a St. Lucia captive insurance company operating as a surplus lines company within the U.S. through a captive management company. Trial testimony on July 31, 2012 on behalf of Mt. McKinley Insurance Co., Everest Re and a large number of other insurance companies in the case styled as R.T. Vanderbilt Co. Inc. v. Hartford Accident & Indemnity Company, et al., and styled also as Continental Casualty Co. v. Employers Mutual Casualty Co., et al., Docket No X02-CV-07-5007875-S in the Superior Court, Complex Litigation Docket, Judicial District of Waterbury at Waterbury, CT. Case description is in the December 21, 2011 deposition information above. Deposition testimony on January 31, 2013 on behalf of Cesar Scolari in the case styled as Bancroft Life & Casualty ICC, Ltd. v. Cesar Scolari, Case No. C11-5017RBL in the U.S. District Court, Western District of Washington at Tacoma. Retained by Cesar Scolar and Mike Johnston, Oklahoma City, OK, (405) 235-4074. This case involved the efficacy of insurance coverage provided by “certificates” issued by a St. Lucia captive insurance company operating as a surplus lines company within the U.S. through a captive management company. Deposition testimony on February 28, 2013 on behalf of National Union Insurance Company in the case styled as John Johnson, et al. v. Orleans Parish School Board, et al., Case No. 93-14333 in the Civil District Court for the Parish of Orleans, State of Louisiana, Division “A”, Section 15. Retained by Richard W. Bryan of Jackson & Campbell, PC, Washington, DC, (202) 457-1638.. This case involved the issue of limits intended on a Personal Injury Liability endorsement issued in the 1980’s considering a scrivener’s error with the placement of the limits on endorsement schedule. Deposition testimony on March 8, 2013 on behalf of Federal Insurance Company in the case styled as Federal Insurance Company et al. v. Continental Casualty Company et al., Case No. BC451180 in the Superior Court of the State of California for the County of Los Angeles, Central District. Retained by Kirk Chamberlin of Chamberlin Keaster & Brockman, LLP, Encino, CA, (818) 385-1256. This case involved the issue of the number of occurrences applicable to a continuous trigger series of claims over several years involving welding fume exposure for policies issued in the mid-1980s. Trial testimony on May 28, 2013 on behalf of Mt. McKinley Insurance Co., Everest Re and a large number of other insurance companies in Phase II of the case styled as R.T. Vanderbilt Co. Inc. v. Hartford Accident & Indemnity Company, et al., and styled also as Continental Casualty Co. v. Employers Mutual Casualty Co., et al., Docket No X02-CV-07-5007875-S in the Superior Court, Complex Litigation Docket, Judicial District of Waterbury at Waterbury, CT. Case description is in the December 21, 2011 deposition information above. Deposition testimony on June 12, 2013 on behalf of EZPAWN Oklahoma, Inc. in the case styled as Triple S Operating Company, LLC v. EZPAWN Oklahoma, Inc. and Hanover Insurance Group, Inc., Case No. CJ-2010-2510 in the District Court of Tulsa County, State of Oklahoma. Retained by Rob Norman of Cheek & Falcone in Oklahoma City, OK, (405) 286-9573. This case involved the issue of whether EZPAWN’s property insurance (All Risk) was adequate according to the property insurance requirements of their lease (Fire & EC) set by the lessor (Triple S). Deposition testimony on August 16, 2013 on behalf of Erwin Lo, M.D. and Sue Jin Yu, M.D. in the case styled as Bancroft Life & Casualty ICC, LTD. v. Erwin Lo, M.D. and Sue Jin Yu, M.D., Civil Action No. 2:12-cv-01431-AJS in the U.S. District Court for the Western District of Pennsylvania. Retained by Joseph Friedman of Clark Hill | Thorp Reed, Pittsburgh, PA, (412) 394-7710. This case involved the efficacy of insurance coverage provided by “certificates” issued by a St. Lucia captive insurance company operating as a surplus lines company within the U.S. through a captive management company. Trial testimony on October 11, 2013 on behalf of Cesar Scolari in the case styled as Bancroft Life & Casualty ICC, Ltd. v. Cesar Scolari, Case No. C11-5017RBL in the U.S. District Court, Western District of Washington at Tacoma. Retained by Cesar Scolar and Mike Johnston, Oklahoma City, OK, (405) 235-4074. This case is described in the January 31, 2013 entry above. Deposition testimony on October 31, 2013 on behalf of Consolidated Agency Partners dba Menicucci Insurance Associates and Karen Faust in the case styled as Companion Property and Casualty Group v. Consolidated Agency Partners dba Menicucci Insurance Associates, et al., Case No. 3:12-cv-00595-HDM-VPC in the U.S. District Court of Nevada. Retained by Daniel T. Hayward of Laxalt & Nomura, Ltd., Reno, NV, (775) 322-1170. This case involved the accusation of fraud, deception material misrepresentation and underwriting responsibilities being delegated to retail agents, despite there being three layers of surplus lines intermediaries between the retail agent and the managing general underwriter. Deposition testimony on November 13, 2013 and on November 27, 2013 on behalf of Elan Chemical Company in the case styled as Elan Chemical Company, Inc. v. Greenwich Insurance Company, et al., Docket No. : ESX-L-008663-10 in the Superior Court of New Jersey, Law Division: Essex County. Retained by Andrew S. Zimmerman of Lowenstein Sandler, LLP, in Roseland, NJ, (973) 597-2422. This case involved the underwriting reasons for the unavailability of product liability coverage for diacetyl to Elan Chemical between February 2007 and November, 2013. Deposition testimony on December 5, 2013 on behalf of TIG Insurance Co. as a fact witness in the case styled as Stryker Corporation and Howmedica Osteonics Corp. v. XL Insurance America, Inc. and TIG Insurance Company, Cause No. 1:05-cv-51 in the U.S. District Court, Western District of Michigan, Southern Division. Retained by Mary Fechtig of Carroll, McNulty and Kull in Chicago, IL, (312) 800-5030. This case involved an upper excess product liability layer, and TIG’s duty to indemnify based upon the insuring and consent to settle clauses of TIG’s Policy after the primary insurance company had been adjudicated as being at fault for wrongfully refusing to pay for the primary layer. Trial testimony on December 18, 2013 on behalf of Drs. Lo and Yu in the case styled as Bancroft Life & Casualty ICC, Ltd. v. Erwin Lo, M.D. and Sue Jin Yu, M.D., Civil Action No. 2:12-cv-01431-AJS in the U.S. District Court for the Western District of PA. Retained by Joe Friedman of Clark Hill | Thorp Reed, Pittsburgh, PA, (412) 394-7710. This case is described in the August 16, 2013 deposition description above. Deposition testimony on January 6, 2014 on behalf of David Rivero, Market Health, Inc. et al. in the matter of the arbitration of The Feldman Firm, LLP, et al. v. David Rivero, et al., through Conflict Resolution Systems Arbitration Tribunal, Houston, Texas. Retained by Will Moye of Thompson Coe Cousins & Irons, LLP, Houston, Tx, (713) 403-8210. This case involved the question of two identical captive arrangement being insurance in the ordinary, usual and customary sense as found in the insurance industry. Arbitration testimony on February 21, 2014 on behalf of David Rivero, MarHealth, Inc. et al. in the matter referenced immediately above. Deposition testimony on May 8, 2014 on behalf of T. Wade Welch & Associates, DISH Network et al. in the case styled as OneBeacon Insurance Company v. T. Wade Welch & Associates, et al., Civil Action No. 4:11-cv-03061-GHM in the U.S. District Court for the Southern District of Texas, Houston Division. Retained by Howard A. Slavitt of Coblentz Patch Duffy & Bass LLP, San Francisco, CA, (415) 677-5204. This case involved a lawyers’ professional liability insurance policy in a rescission case based upon an underlying arbitration appeal which awarded a non-disclosed return of attorney fees described as a “sanction” and the resulting post-claims underwriting issues. Deposition testimony on July 2, 2014 on behalf of Steadfast Insurance Company in the case styled as Steadfast Insurance Company v. Agricultural Insurance Company n/k/a Great American Assurance Company, Case No. $:05-CV—0126-GKF-TLW in the U.S. District Court for the Northern District of Oklahoma. Retained by Tory Bishop of Kutak Rock, LLP, Omaha, NE, (402) 346-6000. This case involved rescission of Agricultural’s excess layer of umbrella coverage due to Steadfast’s invocation of the non-cumulation clause of their lead umbrella, the “known loss doctrine” and the understanding of “occurrences” under the same or similar conditions. Trial testimony on October 13, 2014 on behalf of T. Wade Welch & Associates, DISH Network et al. in the case cited above for the deposition testimony on May 8, 2014. Deposition testimony on October 21, 2014, on behalf of Piggly Wiggly Alabama Distributing Company, Inc. in the case styled as Continental Casualty Company v. Piggly Wiggly Alabama Distributing Company, Inc., Case No. 2:13-cv-00607-JHH in the U.S. District Court, Northern District of Alabama, Southern Division. Retained by Chris Yeilding of Balch & Bingham, LLP, Birmingham, AL, (205) 226-8728. This case involved underwriting and rescission of an automobile liability policy because of alleged misrepresentation of a supervisor’s prescription drug usage and the known loss doctrine. Deposition testimony on December 19, 2014, on behalf of Mt. McKinley (Gibraltar) Insurance Company in the case styled as Browning-Ferris Industries v. Certain Underwriters at Lloyd’s London, et al., Case No. 98-56362 in the District Court of Harris County, Texas, 215th District. Retained by Mr. James L. Hordern, Jr. of Thompson, Coe, Cousins and Irons, Houston, TX, (713) 403-8286. This case involved underwriting and coverage issues on a high excess property policy which was cancelled mid-term and rewritten containing differences in conditions with the underlying and manuscripted package policy. Trial testimony on February 10, 2015 on behalf of National Union Insurance Company in the case cited above for the deposition testimony on February 28, 2013. Deposition testimony on October 21, 2015 on behalf of the Kraft Heinz Foods Company in the case styled as H.J. Heinz Company v. Starr Surplus Lines Insurance Company, Civil Action No. 2:15-CV-00631-AJS in the U.S. District Court, Western District of Pennsylvania. Retained by Jim Murray of Dickstein Shapiro, Washington, D.C., (202) 420-3472 and Jared Zola of Dickstein Shapiro of New York, NY, (212) 277-6684. This case involved rescission issues regarding a policy for accidental contamination and recall insurance with emphasis on the inherent inaccuracy of recent losses vs. mature losses, underwriters’ reluctance to use recent losses vs. mature losses, post claims underwriting practices, the distinction between operational losses and insurance losses, all with regard to alleged misrepresentation in the application. Deposition testimony on November 6, 2015 on behalf of CAMICO Mutual Insurance Company in the case styled as Patricia Ahrens vs. Swinburne & Jackson v. Nicholas Wayne Borusiewich and Borusiewich and Cole, P.C. with CAMICO Mutual Insurance Company, Garnishee, Cause No. 4:15-cv-00130-JAR in the District Court of the U.S. Eastern District of Missouri, Eastern Division. Retained by Mr. Stephen M. Murphy of Sandberg, Phoenix & Von Gontard, P.C., St. Louis, MO, (314) 446-4322. This case involved rescission issues regarding accountants’ errors and omissions insurance and the establishment of the scope of coverage, as well as other pricing criteria used to support rescission. Trial testimony on December 15, 2015, on behalf of Kraft Heinz Foods Company in the case cited above for the deposition testimony on October 21, 2015. Deposition testimony on June 21, 2016 on behalf of Cesar Scolari in a case styled as Cesar Scolari vs. Brown & Streza LLP and Matthew Brown, Individual, Case No. 30-2014-00726801-CU-MC-CJC in the Superior Court of the State of California, County of Orange – Central Justice Center. Retained by John Michael Johnston of the Law Office of John Michael Johnston, Oklahoma City, OK, (405) 235-4074. This case involved a captive insurance company and potential agent errors and omissions with regard to the application, due diligence, feasibility, disclosure and efficacy of a small group captive. Deposition testimony on July 18, 2016, on behalf of Ronald and Melissa Morris in the case styled as Ronald and Melissa Morris vs. Patrons and Farmers Mutual Insurance Company, Cause No. 11CA-CV04241 in the Circuit Court of Cass County, State of Missouri. Retained by William J. Gotfredson of William J. Gotfredson, P.C., Kansas City, MO, 816 808-2188. This case involved rescission of a homeowners’ policy by the Defendant due to a material misrepresentation in the application which was not related to the loss and where intent to deceive is required by Missouri law. Deposition testimony on October 14, 2016, on behalf of American Capital, Ltd. and Scientific Protein Laboratories LLC in the case styled as Charter Oak Fire Insurance Company, et al. v. American Capital, Ltd., et al., Civ. No. 8:09-CV-0100-DKC in the U.S. District Court for the District of Maryland, Southern Division. Retained by Mr. John Schryber of Reed Smith, Washington D.C., (202) 414-9200. This case involved underwriting issues for product liability for portfolio companies of American Capital, a business development company, and applicability of “alter ego” claims under the policy. Deposition testimony on October 19, 2016, on behalf of Alec Evedon in the case styled as Alec Evedon vs. USAA Casualty Insurance Company, Case No. 15-22139-CIV in the U.S. District Court, Southern District of Florida – Miami Division. Retained by David L. Perkins of Hoffman, Larin and Agnetti, P.A., Miami, FL, (305) 653-5555. This case involved underwriting compliance criteria for the sufficient offering of Uninsured/Underinsured Motorist coverage in the excess/umbrella layer in Florida and procedural issues for adequate compliance. Deposition testimony on March 6, 2017, on behalf of Nathan Wolcott, et al. in the case styled as Nathan Wolcott, et al. v. Willis of Ohio, Inc., et al., Case No. 4:16-cv-00316 in the U.S. District Court, Northern District of Ohio, Eastern Division. Retained by Chris Mellino of the Mellino Law Firm, Cleveland, OH, (440) 333-3800. This case involved the underwriting and coverage analysis of the wholly owned captive insurance policy issued to its parent hospital system for hospital professional liability and the efficacy of coverage provided to its nurses and other allied medical professional staff.